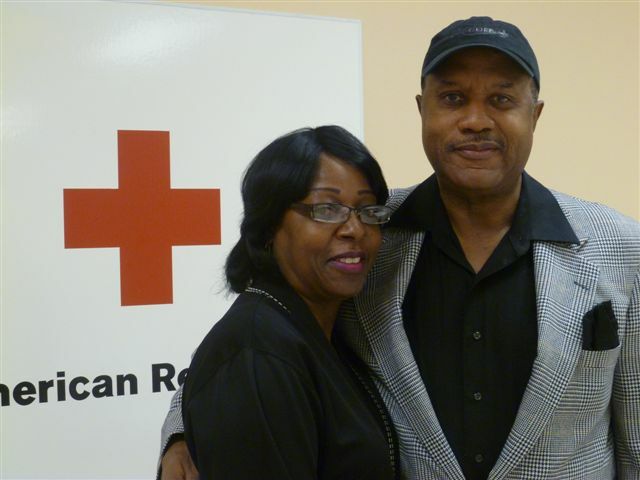 Gloria and James Thompson, thankful recipients of Red Cross emergency assistance. ATLANTA, December 20, 2011 — The American Red Cross helped hundreds of thousands of people whose lives were forever changed by disasters in 2011, from large apartment fires, tornadoes, floods, wildfires and hurricanes in the U.S. to earthquakes and other disasters around the world. In the United States, the Red Cross opened 1,019 shelters and provided more than 130,000 overnight stays. 27,622 trained disaster workers served more than 6.7 million meals and snacks and distributed more than 2.6 million relief items. Health and mental health workers provided more than 133,000 consultations and Red Cross workers opened 16,752 cases to help people get on the road to recovery. In Georgia, the Red Cross opened 12 shelters and provided 490 overnight stays. 702 trained disaster workers served 111, 536 meals and snacks and distributed 13, 851 relief items. Health and mental health workers provided 1,647 consultations and Red Cross workers opened 336 cases to help disaster affected communities. Whether it’s a large tornado or a home fire, disaster is devastating to the affected family. 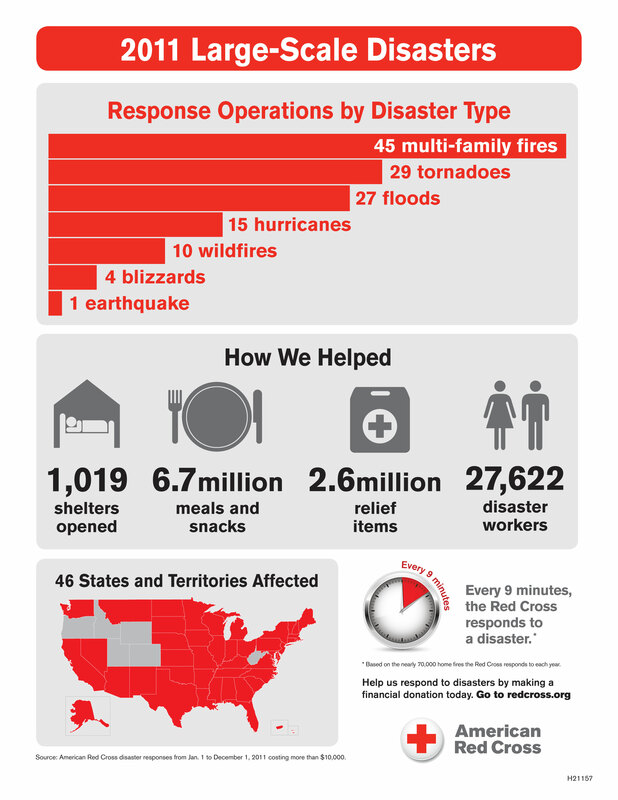 The Red Cross depends on the generous support of the American public to assist people affected by disasters. If you would like to help, please consider making a donation today by visiting www.redcross.org, calling 1-800-RED CROSS (1-800-733-2767) or texting the word REDCROSS to 90999 to make a $10 donation. Contributions may also be sent to the metro Atlanta Red Cross at P.O. Box 101508, Atlanta, GA 30392-1508.